Happy Engineer's Day 2017: Remembering Sir M Visvesvarayya - Robolab Technologies Pvt. Ltd. The nation will on Friday celebrate Engineer’s Day to mark the 156th birth anniversary of Sir Mokshagundam Visvesvarayya, one of the greatest engineers India has produced and a person behind many iconic constructions in India. Year 2017 will mark the 49th anniversary of the Engineers Day in India. It is a significant occation considering the fact that India produces close to 20 lakh engineers in a year. Sir Visvesvarayya was an acclaimed engineer recognized for his mastermind in harnessing water resources. He had successfully designed and constructed several river dams, bridges and revolutionized the irrigation system in India by implementing irrigation and drinking water system. Sir Visvesvarayya was born on September 15, 1861, to Srinivasa Sastry and Venkachamma at Muddenahalli village in Kolar district of Karnataka. He completed BA with distinction from Central College of Bangalore and Civil Engineering from College of Engineering, Pune, in 1881 and 1883, respectively. He began his career as an Assistant Engineer with Public Works Department (PWD) at Mumbai (then Bombay) in 1884 and was later requested to join the Indian Irrigation Commission. As a Public Works Department engineer, he accomplished several projects related to maintenance of public buildings, road construction and laying out city developments plans in several important towns. He worked with complete dedication and perseverance and got promoted as Chief Engineer in Mysore State in 1909. His notable accomplished by was the system of automatic water floodgates first installed in the year 1903 at Khadakvasla reservoir near Pune, designed and patented by him. These gates were first used to control the floods of the Mootha Canal flowing through Pune. Similar gates were later used in the Krishnasagar dam in Mysore, Tigra Dam in Gwalior and other large storage dams. He is the chief engineer is responsible for constructing Krishna Raja Sagara dam in Madhya district.He was also a scholar, statesman and Diwan of princely state of Mysore for seven years from 1912 to 1919. 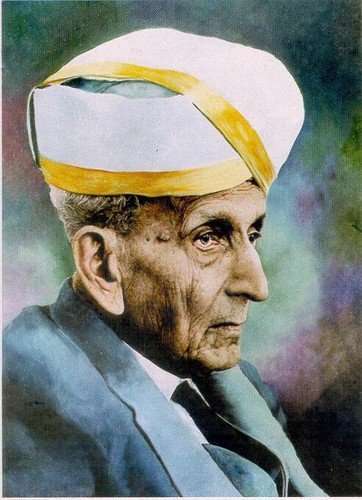 Visvesvaraya received the prestigious Bharat Ratna in 1955.